Set title - This is progress bars title used in builder only. Title - Set progress title. Percentage - Set progress bar percentage. Duration - Set animation duration in milliseconds. 1000ms = 1s. Candy bar - Adjust progress candy bar. 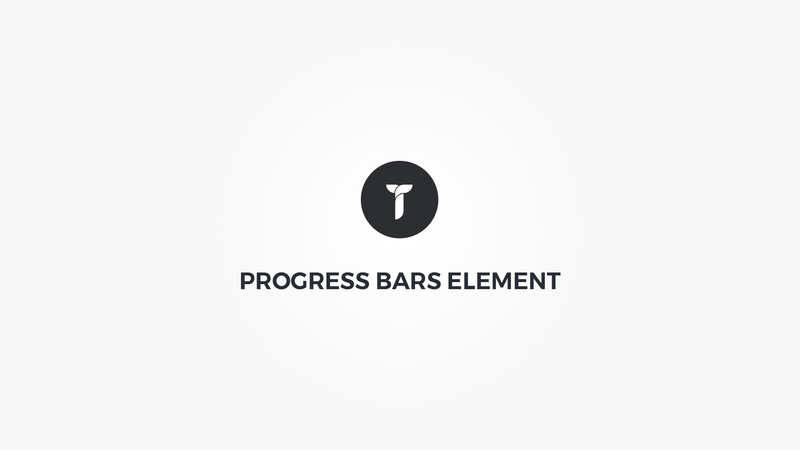 Progress holder - Adjust .thz-progress-bar box style. Progress - Adjust .thz-progress-bar-progress box style. Title color - Set progress title color. Percent color - Set progress percent color. Container box style - Adjust .thz-progress-bars-set box style. Progress bars style - Select progress bars style. Progress shape type - Select progress shape type. Shape padding - Set shape padding. Font settings - Adjust title and percent text font size and letter spacing. Title text - Adjust title text weight, style and transform. Percent text - Adjust percent text weight and style.